Do you want to be a pro when it comes to maintaining your saltwater pool? Luckily, you’ve come to the experts. The popularity of saltwater pools has been on the rise across Australia and New Zealand because they’re easy to maintain and are suitable for swimmers with sensitive skin. 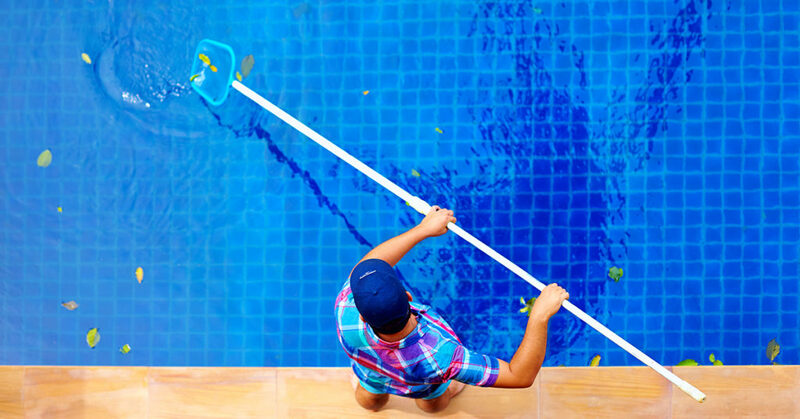 They do, however, still require maintenance, so we’ve formulated a foolproof guide to keeping your saltwater pool healthy all year round. The salt acts in the same manner as chlorine, helping to clean and sanitise your water. Salt water systems break down the salt into chlorine through electrolysis, and it’s then added to the pool through the filtration system. So, yes, even though it’s a saltwater pool, chlorine will still be present in the water. When a saltwater system is set up, it will include a base level of salt. It’s then your job to ensure that you maintain the right salt-to-water ratio. The salt will not evaporate from the water, so you will need to keep an eye on the ratio after rain, backwashing, draining and water loss through splashing. To ensure the salt is working at its peak efficiency, we recommend following the BioGuard 3-Step Program for saltwater pools. A sanitised pool is the key to a healthy pool. The salt chlorinator (sanitiser) will clean your water by killing bacteria. Only treating your pool with salt chlorinator, however, will prevent it from performing at its peak. To enhance the operation of your saltwater pool, we recommend using BioGuard Salt Pool Sticks in conjunction with your salt chlorinator. The sticks help to maintain the stabiliser level and improve salt cell efficiency. We recommend using an oxidiser weekly, such as BioGuard Salt Pool Sparkle. This oxidiser has a unique blend of oxidising and clarifying agents and destroys chloramines and musty odours. The last thing you want is a green pool, so we suggest you ALWAYS use an algaecide to kill and prevent algae. Regular algaecide treatments will free up the salt chlorinator to do its job – focusing 100% of its efforts on killing off bacteria. We recommend using BioGuard Salt Pool Protector. It’s effective against all common and many mutant strains of algae. Its pH adjuster also improves sanitiser efficiency. Follow these three easy steps when maintaining your saltwater pool and it will keep your pool in perfection. If you want to have a chat about this in person, you’re only one click away from locating your local BioGuard Approved Retailer. If you’re looking for more pool and spa tips, head over to our Facebook Page.